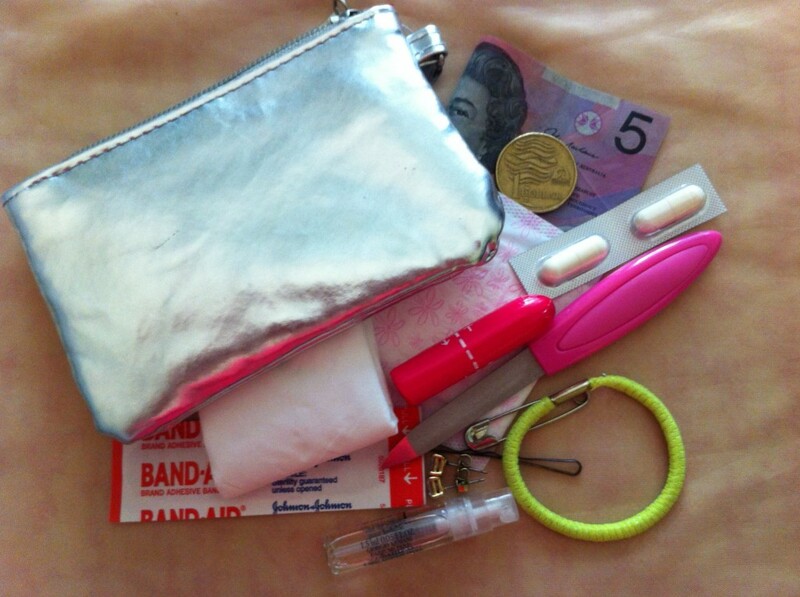 The Perfect Little Emergency Kit For Your Handbag! I hate leaving the house, realising that I have forgot to put perfume on, or put earrings in! When my hair is not behaving, that is the day I DO NOT have a hair tie floating around at the bottom of my bag, every other day there will be at least 5, with two long haired daughters it is hard to avoid! 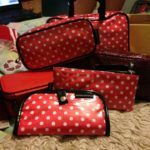 Tired of being out and about and not having the little necessities at hand, I created this little Emergency Kit, that has so many situations covered, but is really small, so it will fit in just about any handbag! My little silver purse is only about 13cm x 9cm and everything fits in it perfectly. Great project for the weekend and have it ready to go in your bag for the new week. Also a great idea for your daughter to take to school for some of those embarressing moments! What do you hate to be caught without? It’s Beginning To Look A Lot Like…..Physie Interclub Season! When Should Your Daughter Be Allowed To Colour Her Hair? Previous Great Value Mobile Plans For Teens – No More Scary Bills! Next Planning For The Perfect Christmas – 12 Weeks To Go! I always have a little sample pack of sunscreen in my bag. So often we find ourselves out and about longer than we planned and get a little too sunkissed. Baby Wipes are another life saver – they are terrific stain removers on the run too! 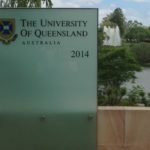 I have sunscreen and some of those item in my car – as I seldom leave home with it and I have a pocket in the car for tissues, and antiseptic wipes, though I never think of putting money in my car. Hopefully one of my many plastic cards will work. I think it is a great idea to have an emergency pack, though.